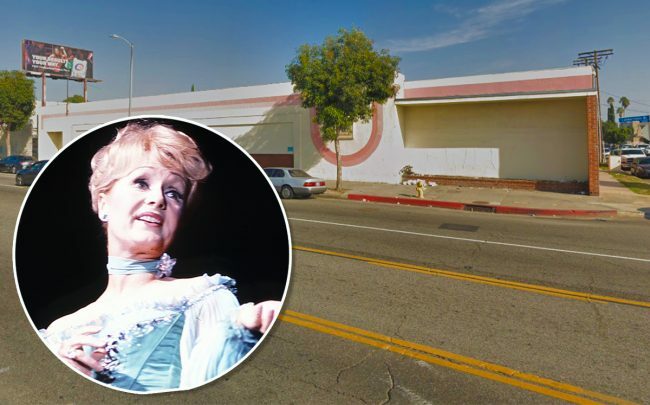 The North Hollywood property that used to house Debbie Reynolds’ dance studio is on its way out. Investor Alan Kleinman filed plans for a 119-unit mixed-use project on the nearly 1-acre site at 6514 N. Lankershim Boulevard, records show. The complex would include 4,800 square feet of ground-floor retail space. Kleinman purchased the property for $6.1 million in the fall of 2017, one day before it was set to go to auction as part of a larger estate sale of Reynolds’ assets. She opened the Debbie Reynolds Dance Studio in 1979, and after an unsuccessful effort to landmark it, it closed in November and was torn down in February. The studio has since moved to Burbank. Kleinman’s multifamily project isn’t his first in the Valley. He started work on a 170-unit project in Van Nuys in 2017. Kleinman is taking advantage of the property’s eligibility under the city’s Transit Oriented Communities program for density bonuses and other incentives. The program provides those incentives for developers who build affordable units near transit. The program has proven popular for infill developments in particular.